Health and wellness are always a big topic of conversation at the beginning of the year with so many New Year’s resolutions to stay healthy. At FilterBuy, we recognize vital role clean air plays in our daily health but also understand this is just the tip of the iceberg when exploring healthy living. Now when it comes to our health and well-being, there is a lot to learn —from indoor toxins that pose serious respiratory harm to environmental hazards that dampen our cognitive efficiency. Sometimes it can be a surprise just how little we actually know about our bodies and the environment around us. The internet is full of countless information on the topics of health and environment as thousands of blogs, news, and even social media posts are published every day. It’s important now more than ever to keep tabs on the latest, most relevant health and environmental news to help keep our wellness in check. Not sure where to look for the latest and most trusted health information? We’ve rounded up 50 of the most reliable correspondents who get the facts straight on the latest in medical discoveries, health research, and environmental news that affect our daily lives. Sumathi is a Wall Street Journal columnist for the weekly health column, “Your Health”. She is based in New York and joined the Wall Street journal in 2010 and has since been recognized as an award-winning metro columnist. She covers a wide variety of health issues, including consumer health. Reynard is a New York based editor for AlterNet’s environment section. His contribution in the field of journalism extends beyond environmental topics as he also covers sustainability, sustainable finance and corporate social responsibility. He co-founded MomenTech, an experimental production studio based in New York. Alexandra is a New York based health correspondent for TIME Magazine and Time.com. She has been affiliated with the distinguished publication since 2012, specializing in public health issues and medical news. Her scope encompasses infectious disease to women’s health to human behavior to food trends. Tony is a reporter for the Los Angeles Times. He covers air quality and the environment. He joined that LA Times in 2006 and has since written multiple local news and feature stories. His recent work is now focused on air pollution, climate change and other environmental issues. Aliyah is an acclaimed independent health and medical correspondent based in New Jersey. She is a contributor to the Science section of The New York Times, with asthma in minority children among the featured topics. She is a Kaiser Foundation Fellow in Health Media, and has been honored with an Award for Excellence in Health Care Journalism by the Association of Health Care Journalists. Liza is a San Francisco-based independent journalist who includes public and environmental health in her repertoire. Many of her distinguished works have been featured in Discover, The New York Times, The Washington Post, National Geographic’s News Watch, and San Francisco Chronicle among many other notable media outlets. Sean is a Brisbane-based health editor for The Australian. He has over 10 years of experience with Courier-Mail writing about crime, social justice, and politics among others. He has since become a correspondent for The Australian since 2005. Molly is a Washington based writer and Public Health Policy Director for Moms Clean Air Force, a national organization advocating clean air for children’s health. Many of her written works have been featured in The Huffington Post. Marlene is an Adjunct professor at the University of Maryland and freelance writer based in Washington. She specializes in science, health and the environment. She was a longtime journalist for the Los Angeles Times serving as the health policy correspondent for more than 30 years. She is also a regular contributor to LiveScience’s Expert Voice: Op-Ed & Insights. Bjorn is an environmentalist and best-selling author. He is the director of the Copenhagen Consensus Center while serving as a visiting professor at Copenhagen Business School. He has been named as one of TIME Magazine’s “100 most influential people in the world” and is not a stranger to Foreign Policy’s “Top 100 Global Thinkers” list. Karen is an independent health/science correspondent based in Boston. She regularly contributes to The New York Times among many others. She pens about health, nutrition, cancer, genetics and child development. Aside from being a journalist, she is also a journalism professor at Boston University and the Harvard Extension School. Joe is a Senior Fellow at American Progress. He is an author, blogger, and physicist. He is the Founding Editor of “Climate Progress”, a blog hailed as one of Time Magazine’s “Best Blogs of 2010”. Time also coined Joe as a “Hero of the Environment”. As a climate expert, he is an advocate for the reduction of greenhouse gas emissions and global warming among others. Lenny is a Washington D.C. based writer for The Washington Post. He writes about the latest stories that thrive in health and medicine. He joined the Post as an editor for the National Desk in 2000. He regularly contributes to the publication’s “To Your Health” section. Chris is a reporter for the Washington Post. He covers topics on energy and the environment. He has written about science and the environment and hosted a weekly podcast during his tenure at Mother Jones. He has authored books about science and climate change. Randy is a reporter for Health Day with over 20 years of experience writing for numerous publications, magazines, and other major news platforms. He heads the American Society of Journalists & Authors as the non-profit organization’s president. Kate is an independent energy and environment journalist based in San Francisco. She has written for Texas Tribune, The New York Times, and The Economist. She was a Nieman fellow in journalism at Harvard University. She is also attributed as the co-author of The Great Texas Wind Rush. Katy is a California based education reporter for the Oakland Tribune. She is also a correspondent for other major publications including Mercury News and CC Times. Although she specializes in topics of education, she was named a National Health Journalism Fellow in 2012 for her work about childhood asthma and air quality. Gary is a scientist at King’s College London, focusing on air pollution. Among his major contributions to the field is the development of the London Air Quality Network which he spearheaded. It went on to become the largest urban network in Europe. Much of his research uncovers the sources of urban air pollution and the effects it has on people’s health. He is a contributor to the Guardian’s Pollutionwatch section. Article we love: How Clean is the Air we Breathe at Home? Alice is a health and medicine staff writer for TIME. She is based in New York and has accounted for many of health and medicine’s breaking stories. She received the prestigious Kyoto Prize Journalism Fellow in 2010. She has also been featured in CNN, Good Morning America, BBC America and MSNBC. Sandy is an environment reporter for The Inquirer. She has been with the publication for over two decades, where she has served as an editor and reporter covering features and news. She authors the column GreenSpace, a blog that tackles various ways of reducing carbon footprint. Denise is an esteemed independent health writer based in New York. She is the health editor of Beauty In The Bag. She is also regularly featured in leading health periodicals including WebMD, Health.com, CNN, Arthritis Today magazine, American Profile magazine and special sections of the Wall Street Journal. She has authored many distinguished articles and has garnered several awards for her body of work. Laurie is health and medicine writer. She writes for the New York Times, national health, women’s and parenting magazines, among other major health platforms. Apart from contributing to major publications, she also has her own health blog. Dominique is an ardent advocate of clean air. She co-founded the special project, Moms Clean Air Force with the support of the Environmental Defense Fund. She is a writer and editor with regular contributions to the New York Times and TIME.com, among others. Karen is an author and journalist based in the Indiana Area. She focuses on health, fitness, nutrition, pets, and travel. She writes for leading national news platforms. Her articles have graced the pages of Prevention, Real Simple, SELF, Shape, More, Family Circle Reader’s Digest, Woman’s Day, More, O the Oprah Magazine, USA Today, Weight Watchers and Cooking Lightl, to name a few. George is a respected name in the environment sector. He has authored bestselling books The Age of Consent: A Manifesto for a New World Order and Captive State: The Corporate Takeover of Britain. Article we love: The Green Problem: How do we Fight without Losing what we're Fighting for? Steven is a senior staff reporter for HealthDay. He is an acclaimed health journalist. He was previously a reporter for Reuters Health. His written works have been featured in The Scientist, among other news publications. Ronnie is a writer, editor, and educator who advocates for clean air. She has authored many articles about green living and the environment for distinguished publications. Rachel is a London-based freelance health writer. She has 17 years of experience working for national publications, and has been the Health Correspondent of the Mail, Health Editor for the Daily Express and Health Correspondent of the Press Association. Lisa is a writer, speaker, communications consultant. She has produced articles on parenting, social change, climate change, empathy, among other topics for The New York Times, Forbes, Daily Beast, Christian Science Monitor, American Health, More, Mothering, and elsewhere. Karen is a Michigan native who covers health care for Detroit News. Before she joined the publication in 2002, she was a freelance writer for Michigan Medicine and other publications, and a stringer for Time magazine. Maggie is a senior health journalist for NBCNews. She is based in Washington D.C. and writes on the topics of health, medicine, science, and politics, among many others. She may be seen, heard, and read as her works appear in various forms of media including radio, television, and print. Prior to joining NBC, she was the Managing Editor for Healthcare and Technology at National Journal. Article we love: Could These Four Germs Protect Babies From Asthma? Fiona is a distinguished force in environmental journalism. She currently writes for the Guardian reporting on major environmental issues. Mary is an independent writer who has over 15 years of professional experience. She has previously worked for CNN and Bloomberg News. She currently specializes in health news and feature stories. Her extensive health coverage includes immunizations, obesity, allergies and asthma, to name a few. Katie currently serves as the Deputy Editor for Climate Progress. She previously acted as the Climate Reporter and Special Assistant for ThinkProgress. Lauran is a Washington based medical correspondent for The Associated Press. She has been with the non-profit news agency since 1989. Her extensive coverage on topics of health began in 1992. More recently, the focus of her reporting touches public health and medical research. Damian is a longtime journalist with previous stints in Financial Times, New Scientist and BBC News Online. An esteemed covering environmental concerns, he heads the environment section at the Guardian. Having earned a master’s in “Science, Health and Environmental Reporting” from New York University, Lynne tackles issues concerning the environment and public health. She is a contributor at The Huffington Post and writes for other prominent outlets. Her works have appeared in Scientific American, Reuters, Popular Science, Audubon Magazine, Anesthesiology News and Memorial Sloan-Kettering Cancer Center. Kathryn is a New York-based freelance health writer. She has written about medicine, technology, and health care policy. Her articles have been read in Popular Mechanics and Reuters Health. Chetan is a Senior Assistant Editor for Hindusan Times. He has been covering environmental issues since the late 1990s. His passion for the environment began when CNG vehicles were introduced in Delhi. He joined the Hindusan Times in 2000. Dr. Tim is certified by the American Board of Internal Medicine and the American Board of Allergy and Immunology. He effectively juggles being a physician, researcher and educator. His specializes in treating a host of allergic diseases. His expert insights regularly appear on The Huffington Post. Dr. Julie is dual board certified in Allergy and Immunology and Internal Medicine. She co-founded Hudson Allergy and serves as a faculty member and Clinical Instructor at two Ivy league medical schools. She is a regular contributor at The Huffington Post. With 5 years of experience working for the British National Health Service, James now writes for Medical News Today. He features stories on community health care and the development and provision of day surgery procedures. Article we love: Mold in the Home: How Big a Health Problem is It? 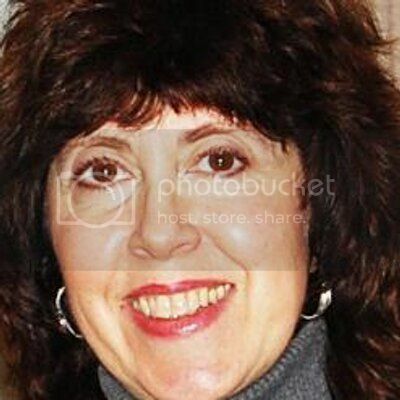 Marcia G. Yerman is a freelance correspondent covering the Environment, Human Rights, Women’s Issues, Culture and the Arts. Her work has appeared in the New York Times, Huffington Post, AlterNet,Ravishly, and OpEdNews. Joylette is the president of Communitopia. She also blogs for Huffington Post and currently serves on the Allegheny County Board of Health. Her notable environmental efforts include raising awareness for climate change during her tenure at The Climate Reality Project, a nonprofit organization. Beth is an award-winning journalist and author of the bestseller "Super Natural Home", who promotes green holistic health, healthy homes, and toxin-free living. She is also columnist for the Huffington Post writing about measures to take for a healthy home, school, and work environment. Jeanie is an independent award-winning journalist covering health andmedical topics. Prior to this, she was a writer for WebMD. Richard is a health and social services correspondent for the Bradenton Herald. James is a reporter for The Post-Standard and Syracuse.com. He covers the latest in health and medical news. Maia is the founder and president of Gimme the Good Stuff, Inc. She regularly contributes to the Huffington Post and has covered topics on toxins and indoor environment. We hope that our list of experts will help you keep track of the biggest health and environmental stories this year.